Held every year at the Paris Chamber of Commerce and Industry, the Financial Risks International Forum brings together professionals and academics from all over the world in relation to current issues in banking, finance, insurance and asset management. The aim is to present research of excellence and facilitate exchanges between researchers and professionals. This event welcomes more than 600 participants, including renowned academics from European, American and Asian universities. Every two years, leading international specialists in market microstructure meet at the Maison de la Chimie in Paris for a four-day conference. This multidisciplinary event brings together economists, mathematicians, computer scientists and professionals. It also enables academics to engage in discussion with professionals and hear about their experience of markets and trading. Held every year, this event provides an opportunity to present the latest research findings from the Chairs and Research Initiatives of the Europlace Institute of Finance (EIF) and the Risk Foundation (FR) and to foster dialogue between researchers and businesses. 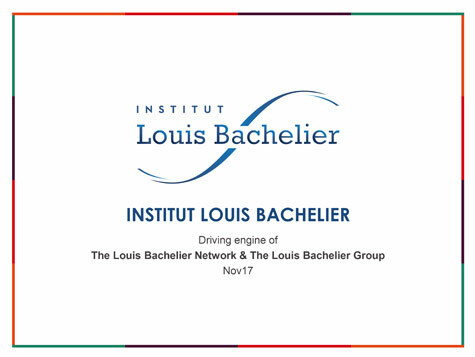 Louis Bachelier scientific mornings provide insight into the latest developments in the academic literature through the presentation of research papers supported and funded by the Europlace Institute of Finance and the Louis Bachelier Finance and Sustainable Growth Laboratory of Excellence. These meetings are aimed at economic actors, academics and the public authorities.